It’s best to water either morning or evening. Hot windy days will cause high rates of evaporation of water from warm soil before the water has a chance to soak in. However, don’t hold back to save a life. If a plant is drooping and its midday, I will still water it to save its life! A large droplet is also the best to aim for in windy weather. Fine sprays blow away. 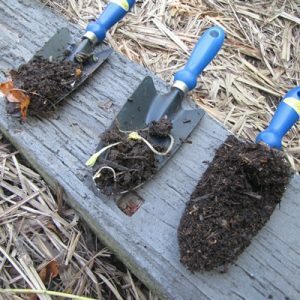 If your garden is already mulched, pull back the mulch and water under it, directly on the soil. Then replace the mulch. 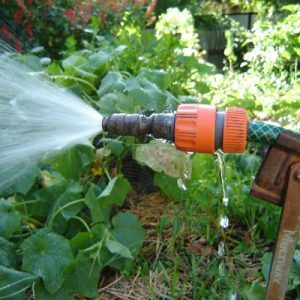 You’ll use a lot less water as a dry mulch absorbs masses of water before it can get through to the soil. Mulches may also be water repellent if extremely dry. 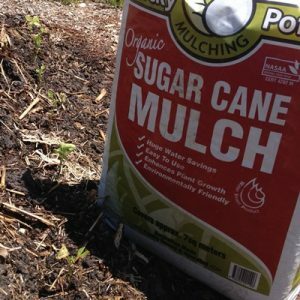 My favourite mulch for vegies and fruit is sugar cane. Mulch keeps the soil cool so that means a lot less evaporation too! And did I mention mulches are good food for worms and microbes? Applying humus to your soil when preparing it for planting or around existing plants is a sensational thing to do if you want to increase soil moisture and life.. Humus is the stable humic acid component of rich soils. It’s found in small amounts in compost or can be purchased in as a concentrate. The picture shows 3 stages of compost breakdown with the final stage at right. Humus helps to control water retention in soils as well as build an environment conducive to healthy microbes and nutrition for the plant. It’s estimated that increasing humus in your soil by just 1%, the water holding capacity will increase water holding capacity by 17 litres per square meter. That’s huge, providing you with a soil water storage that helps keep plants healthy too. In my own garden, I have a continuing program of humus addition to all areas, adding it with each planting or 4 times per year in permanent shrubberies and lawns. It can be added as a liquid or powdered form and I sell it to people who can call in and pick it up. Seaweed (with high fulvic acid levels) sprayed on leaves helps to strengthen plant cell walls, and adjust to extremes. It’s also a tonic for the plant, reducing insect pressure. It also helps to brighten flower colour! Seaweed is not a fertiliser! I use it in conjunction with fertilisers. I use and sell Biokelp. It’s a kelp with high levels of fulvic acid that has been composted using beneficial microbes. You get the benefit of the kelp being immediately available to the plant, plus having beneficial added to your plants with each spray. Plus, it is extremely concentrated so you only need a mm or two for each litre of water. A spray then goes a looong way. If you’d like to order some for your garden, in a 5 litre pack for $124.50 which will last for a very long time, (ie 2,500 litres) click here. The softest plants benefit from an umbrella in summer, just as we do on the beach. I use tunnels, and shadecloth. These can also protect your plants from insect attack. 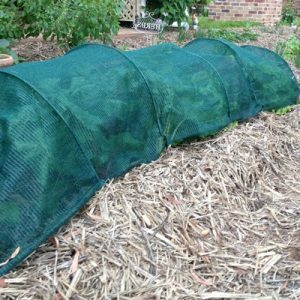 A variety are available online, or you can fashion your own using sticks or irrigation pipe. 6. 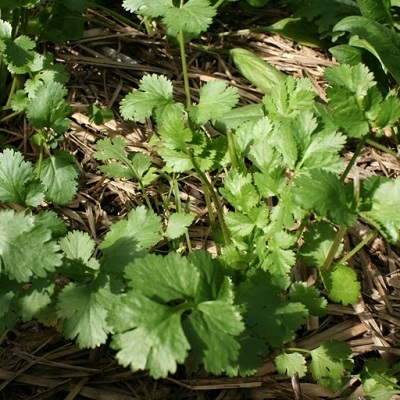 Finally, coriander and lettuce both do best in hot weather when planted from seed, in the spot you want it to grow. Keep it kept cool and moist. A shady garden spot for hot weather is ideal.